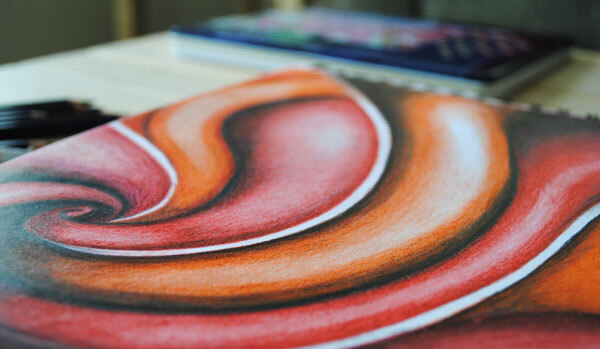 Undeterred by my recent Epic Art Fail recently, I have continued dabbling around with colored pencils and Facebook fans will have seen a quick peek of this work in progress last week. Burnishing is done right at the end which helps blend everything together and results in a shiny appearance which you can just about make out below. After that it is not really possible to add any more pigment to the piece. I did this drawing in a sketch pad, which is probably not the ideal paper for colored pencils but I have just treated myself to a paper specifically designed for this medium. Can’t wait to have a go! 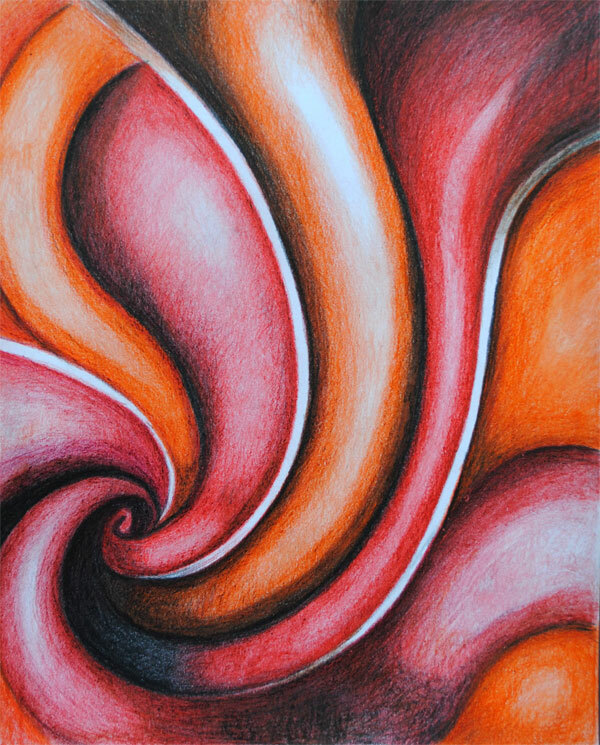 This entry was posted in Art, Art Tutorials and tagged inktense, red, swirl. Bookmark the permalink. Wow, your drawing looks amazing!! 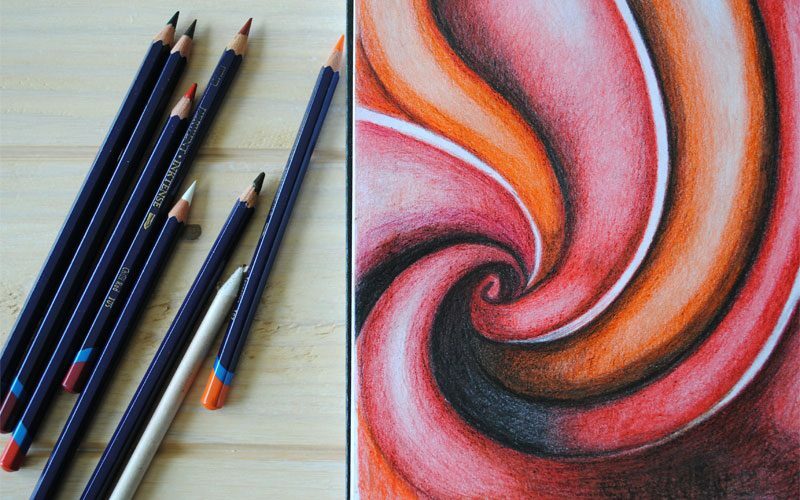 I want to start making art more often, so I’ll definitely consider these pencils. Thank you for sharing it! 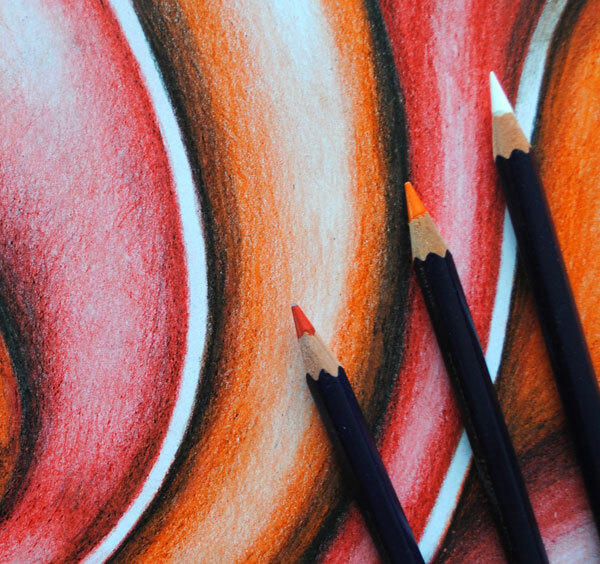 I know this is a post from last year, but I just stumbled across it while looking up intense pencil ideas. I am really curious why you used these pencils in dry form? 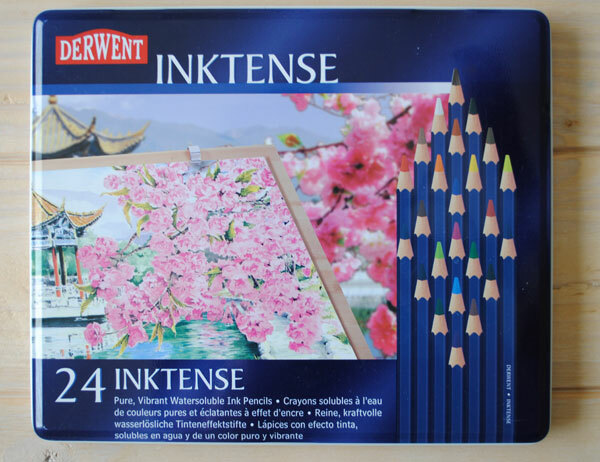 They are water soluble ink pencils – not to be confused with watercolour pencils. If you activate them with water you will get vibrant washes of colour. I hope that you have discovered that by now, but if not then maybe check out the techniques on YouTube. The shear amount of ink you have on this piece would create masses of colour! Generally people layer the colours, so not sure if this amount would go muddy. Nice work though!! Hi Theresa, Bit scared to add water to this piece in case I mess it up!